Some time ago we have reviewed about using wall as vertical garden and the garden design is still too large and difficult to make. 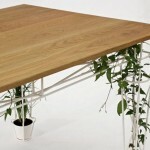 Now we will show you another alternative for growing plants without requiring a large place. 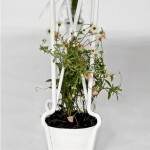 Plantable designed by JAILmake Studio are our topic today. 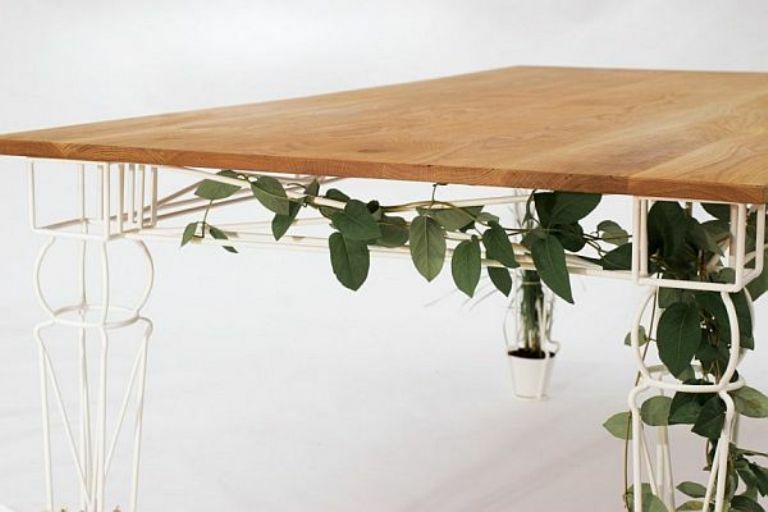 This is new table design with small planters in each of the legs and make you able to planting some vines to decorating your table. 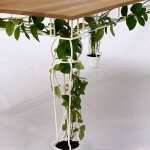 It’s very easy to use, just planting some vines such as Quisqualis indica, mandevilla, or morning glory and let’s them growing. Don’t plant roses even though they have beautiful flowers. Their spines are very sharp, so the potential to hurt you, especially your children. 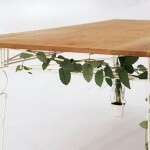 Simple ways to make a beautiful dinner table for special event or just to decorating your room. 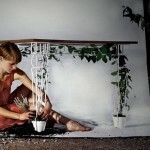 Furniture Design, Garden Design table. permalink.